Since the beginning of the 21st century, China and Africa have added depth and breadth to their bilateral cooperation. This, along with China’s growing popularity in Africa, has drawn particular attention from developed European countries, the US and some emerging economies. These countries have been shown to be working against China’s involvement in Africa. Meanwhile, they are seen making irresponsible and indiscreet comments on China-Africa cooperation, by right of their dominance in global public opinion. This has presented China-Africa cooperation with complicated international competition. First, the colonial era and the period known as the Cold War have ended. These were eras in which countries outside of the continent interfered with Africa’s development. African nations have the right to choose their own paths of development and who they wish to work with. The overall environment for China-Africa cooperation has changed tremendously and African people are the owners of the continent. Learning from China’s development experience and building closer ties with China are a voluntary choice of African countries, rather than a response to China’s pressure. Second, China has generally been evaluated positively by Africans, making it most persuasive. China-Africa cooperation is often attacked and criticized, but it’s not because China’s African policy is bad or the Chinese government and Chinese companies are not doing well in Africa. It’s widely believed in Africa that cooperation with China opens a window of opportunity for Africa’s social and economic development, improves Africa’s self-development capabilities and pushes the international community to cooperate with Africa. Third, the Western world doesn’t have a uniformly negative view of China-African relations. Fair and objective views about cooperation between China and Africa have been on the rise among Westerners. Both China and Africa ought to be confident about this. What we have noticed is that in Western intellectual circles, views reflecting on their traditional assistance policy in Africa and advocating for learning from China’s approach to Africa have been on the rise in recent years. A rising number of Western publications have run articles speaking positively of the opportunities China has brought to Africa’s development. For instance, McKinsey & Company published a report on China-Africa economic partnerships in June 2017 entitled Dance of the Lions and Dragons. Based on interviews with more than 1,000 Chinese companies operating in eight African countries as well as more than 100 African government and business leaders, the report provided a comprehensive evaluation of economic partnerships between China and Africa and the prospects for bilateral cooperation. 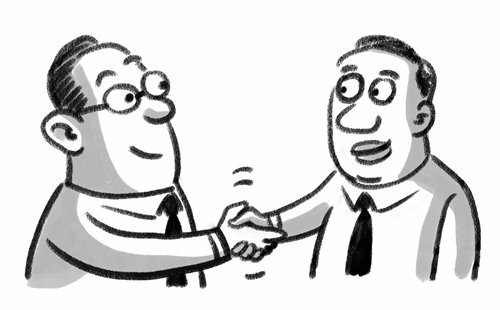 Overall, it took an optimistic and positive attitude toward China-Africa economic cooperation. Only by joining hands with China can Africa head toward a brighter future, the report said. Fourth, cynicism prevalent in the Western world against China is very much an overreaction by major Western powers as their interest in Africa has appeared to be declining versus China’s rising influence in the continent. Four decades have passed since China’s reform and opening-up began, and the comparison between China’s footprint in Africa with that of major global powers is not what it used to be. Although China is a latecomer in terms of cooperation with Africa, and China’s overall investment in Africa and integration into the continent remains at low levels, the country’s African investment has grown at a fast pace and Chinese-invested infrastructure projects have made steady headway, an indication of China’s increasing popularity in Africa. It’s natural that developed European countries and the US have made no concessions and have commented irresponsibly about China-Africa cooperation, speaking on behalf of Western elites’ national interests and their moral superiority, with the intention of handicapping China’s rise in Africa. China doesn’t need to be worried about these views. Fifth, China-Africa cooperation has yet to be perfect and some problems need to be addressed, such as insufficient awareness of corporate social responsibility on the part of some companies investing in Africa, which provides scope for skepticism and criticism. Regardless of the noise being made about China-Africa relations, it is anticipated that the big ship of common destiny will surely sail through various obstacles and challenges to the other shore, so long as the two sides stay resolute in bilateral cooperation and hold onto a collaborative mindset. The author is senior research fellow and director of the Center for Southern African Studies with the Institute of West-Asian and African Studies under the Chinese Academy of Social Sciences.